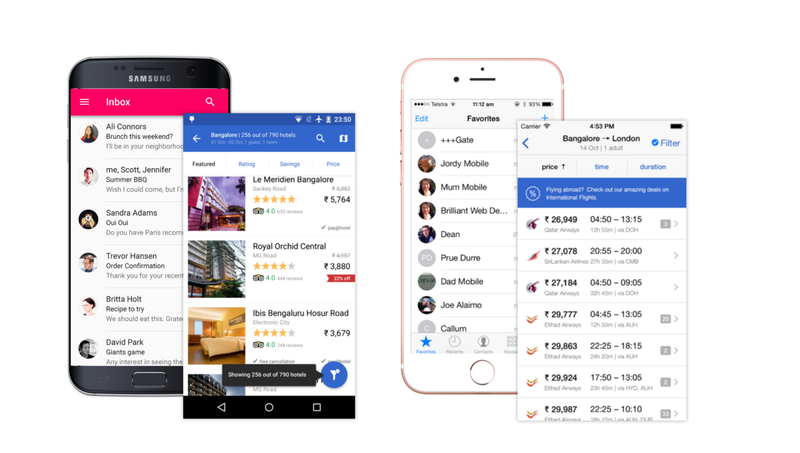 Cleartrip has always stood for attention to detail; Be it pixel fitted icons or the small little touches that makes the booking experience delightful. Today we would like to share a similar nuance where we’ve tried to make design invisible by changing typeface of our products. After years of using Helvetica, we are moving into a more native family of fonts. Not that we have such an extreme opinion about Helvetica, but clarity is the first and most important characteristic of good user interface design. Each native platform has done a fair share of research (Apple, Android, Windows) and offer best-practice approaches to navigation, typography, and more. Websites and apps that follow these guidelines feel like a natural extension of the host operating system. The primary reason for us to go with native typefaces is to give every user a more platform specific experience; there by concentrating more on the content than the ornamental aspects. After Tuxedo, we ensured the visual language remains the same while staying grounded in the philosophy of making design invisible. Although it is a simple change, it’s actually one of our favourite design decisions since the difference is subtle but creates a huge impact on user’s comfort level. We have been following the same pattern in our app also which naturally feels more native. 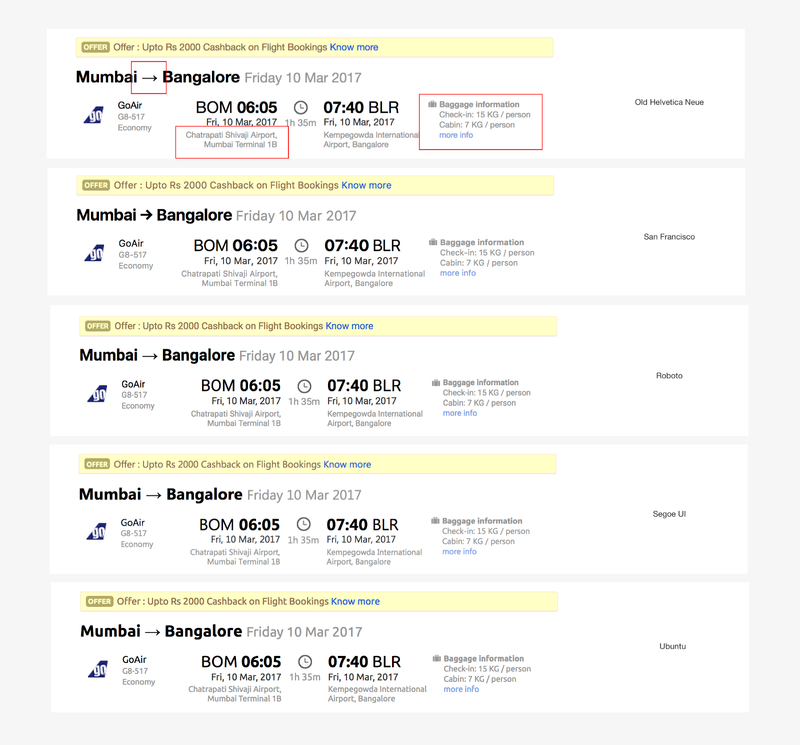 For Cleartrip, our interface is actually our content, so ergonomics and readability are much more important for us than style. A good UI typeface has to be extremely clear and unambiguous in smaller sizes. We don’t want our users to pause for even a fraction of a second to understand glyphs and shapes. What’s going on here with Helvetica is quite surprising. 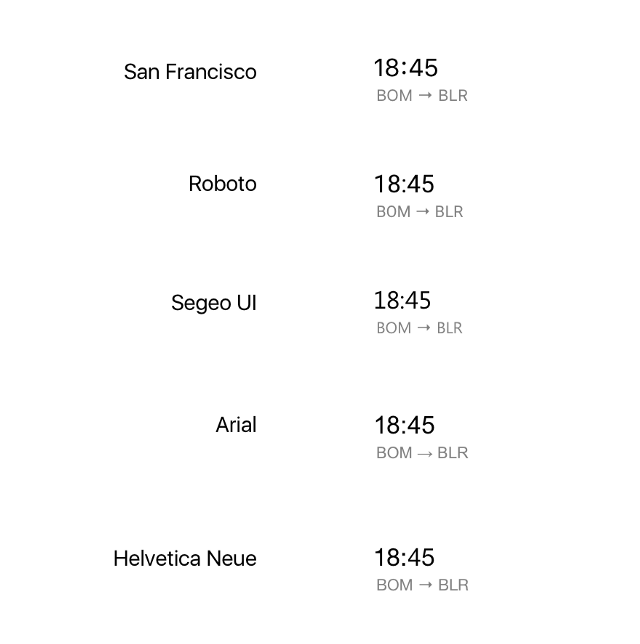 However, when it comes to flights, there are a bunch of places where the user is deciphering the text than actually reading it. We can’t afford to live with that. Now just half close your eyes and look at the following image. The B. O. M. in Helvetica Neue seems to be blurring and mixing with each other, while clear and spaced-out in other fonts naturally. 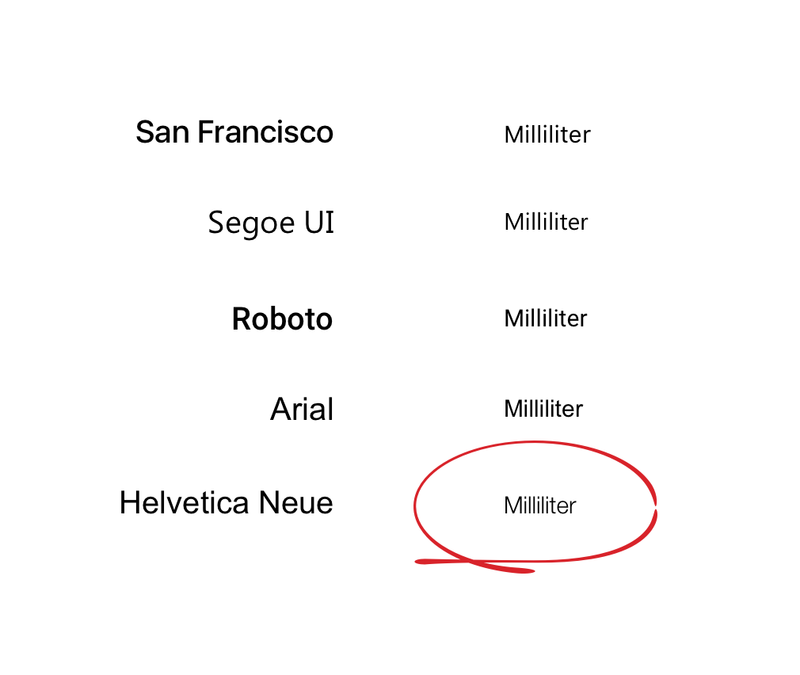 After lot of study and reassurance from multiple projects like Windows adaptive layout, Tuxedofying Mobile web, where we played with smaller devices, the consensus was unanimous, Helvetica Neue is not the right font for interfaces. 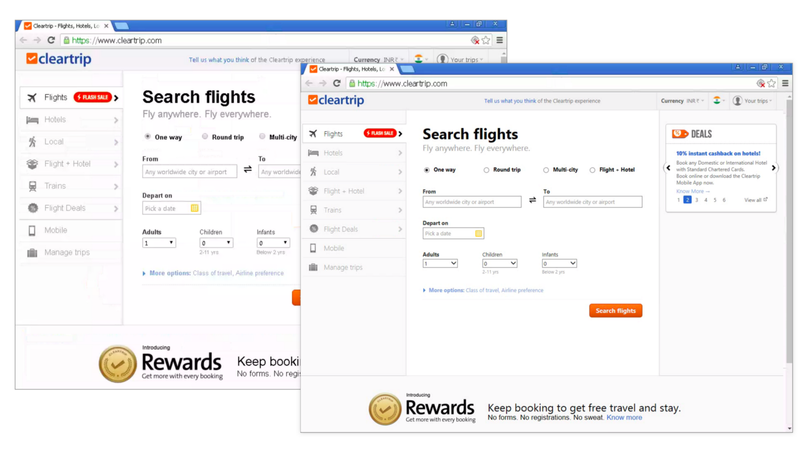 We identified places within Cleartrip which are critical for users while consuming information, and it’s almost everywhere. So our new CSS declaration at a body level now looks like this.